( July 23, 2013, Colombo, Sri Lanka Guardian) Leader of the Tamil National Alliance (TNA), Rajavarothayam Sampanthan, has proved his political maturity and his able leadership in maintaining the integrity of the TNA by getting all five constituent parties in the Alliance to concur with his decision to nominate former Judge of the Supreme Court, C. V. Vigneswaran, as the chief ministerial candidate of the TNA for the Northern Provincial Council, election. The trilingual Sampanthan is named after South India's Pallava period Hindu saint, Thirugnanasampanthar, who had rendered 10 devotional lyrics in Tamil on the Koneswaram Rock Temple of Lord Siva in Trincomalee in the 7th century. The members in the TNA or from Sampanthan's own party, the Illankai Tamil Arasu Katchchi (ITAK), may occasionally fall out with the Leader, but his security personnel who are Sinhalese officers from the Sri Lanka Police, treat him with due reverence and utmost care, and will even sacrifice their lives to safeguard him. The devotion is to be expected, as the 80-year-old veteran Tamil politician is extremely fluent in the Sinhala language and is known to treat his men in a gentlemanly manner. Sampanthan, an eminent criminal lawyer from the Trincomalee Bar, enjoyed a lucrative practice before entering politics for the first time in 1977. He succeeded late P. Neminathan of the ITAK, though at the beginning, he was reluctant to enter politics. However, on the insistence of the late Leader of the Tamil United Liberation Front (TULF), Appapillai Amirthalingam, Sampanthan entered politics in 1977 and since then has remained an invincible figure in the Tamil political scene, especially in the Trincomalee District. Reportedly, late President J.R. Jayewardene, had made an attempt to get Sampanthan to his side by offering a ministerial portfolio, similar to the manner in which he convinced the 'die hard' TULF Parliamentarian, Chelliah Rasathurai, to cross over to the United National Party (UNP). On that occasion, JR made Rasathurai the Minister of Hindu Cultural Affairs. 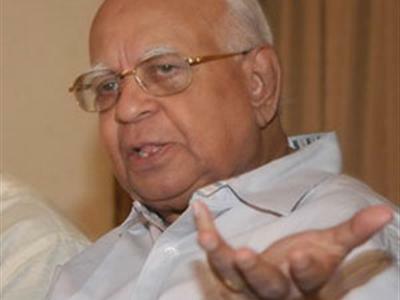 However, Sampanthan is a different kettle of fish, and remained loyal to his party even during the turbulent days when the Liberation Tigers of Tamil Eelam (LTTE) targeted the elitist Tamil politicians who had supported the Indo-Lanka Accord and the 13th Amendment to the Constitution. Later, when the Tamil National Alliance was formed in 2002, Sampanthan became the automatic choice to lead the Alliance, which developed closer links with the LTTE when the outfit embarked on its 'globetrotting' peace talks with Norwegian facilitation. Fortunately or unfortunately, the peace talks ultimately fizzled out with the LTTE digging its own grave. The TNA Leader was heavily criticized for his decision to appear on stage with the UNP Leader, Ranil Wickremesinghe, during the joint May Day rally in Jaffna in 2012, and holding the Lion flag, aloft. The TNA's Jaffna District Parliamentarian and the ITAK's General Secretary, Mavai S .Senathirajah, was the first to fire the salvo against Sampanthan for this action. However, Sampanthan managed to come out of the criticism, saying that he didn't hold the flag of his own volition, but it was forced into his hand by Ranil Wickremesinghe. Since then, there have been several problems surfacing within the TNA with regard to the solidarity of the Alliance. Most notable among them was the demand by the constituent parties of the Alliance to register it as a political party. This was in order to prevent Sampanthan's ITAK from monopolizing the Alliance, as it is the flagship of the TNA with a majority of the parliamentarians from the ITAK. Several weeks ago, a special meeting was convened by the Catholic Bishop of Mannar, Rt. Rev. Rayappu Joseph, in order to resolve the differences within the TNA and to emphasize on the need for solidarity within the Alliance. Apart from the members of the TNA, civil society members from Jaffna also took part in the Bishop's meeting, calling for unity within the Alliance. Though the meeting in Mannar had dragged for several hours, in two sessions from morning till evening, no constructive decision was reached with regard to the integrity of the TNA. Subsequently, the Bishop of Mannar held a second meeting to iron out the differences within the TNA. However, there were changes in the political atmosphere with the announcement of the polls for the Northern Provincial Council. The TNA became more focused on electing its chief ministerial candidate. This again led to problems over the selection of the said candidate, and when the tussle over the choice between Mavai Senathirajah and the former Judge of the Supreme Court, C.V. Vigneswaran, looked set to intensify, with many speculating that the choice would lead to a split in the Alliance, the TNA Chief succeeded in securing a unanimous decision over his choice of Vigneswaran as the TNA's chief ministerial candidate. He also convinced the other contender to not only accept the choice, but also to work with the candidate. Following the TNA decision, a special meeting of the ITAK was held in Vavuniya on Saturday (20) to make the formal announcement of Vigneswaran as the chief ministerial candidate and to felicitate Mavai Senathirajah for the ,sacrifice he made in stepping down to make way for the former Judge of the Supreme Court . At the Vavuniya meeting, the choice for chief minister was well accepted as was the ITAK's stance in the present political context and the expectation that the Chief Minister of the Northern Provincial Council, being a personality with a good legal background, would be able to deal with issues with regard to the alleged land acquisition and the extensive military presence in the North. With more than 5,000 Internally Displaced Persons (IDPs) in the North gearing themselves for a legal battle to regain their lands now under military control, the latest to seek legal action against the alleged land acquisitions in the Jaffna Peninsula is the Catholic Bishop of Jaffna, Rt. Rev. Thomas Savuntharanayagam, who filed a case at the Court of Appeal last week. The present day Jaffna society and the Northerners at large, also feel that as a result of the near three-decade civil strife in the North and East, the political scene in the two Provinces had eroded, largely due to unlikely and unsuitable candidates entering politics with no proper political or educational background. Prior to the unrest that devastated the two Provinces, the North and East had produced highly refined personalities in the Tamil political scene. The Northerners, who had suffered enormous loss of lives and properties, feel their dignity and their integrity should be reflected through a regional leader who could not only boldly proclaim their political and humanitarian needs but also initiate meaningful measures in healing the scars of war in the region.